I picked the name last year. It's a song by the band Rush--and it seemed apt. There's a line in the chorus: "Watch his every move--Superconductor--orchestrate illusions." That's what writers do. And I like Rush. Still do. So how long have you been writing about classical music? My first published piece was in Wagner Notes, the newsletter of the Wagner Society of New York. 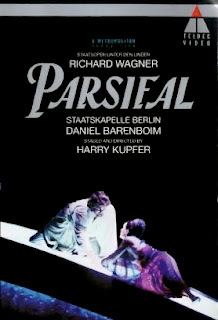 I reviewed a two-VHS tape set of Parsifal with Poul Elming and Waltraud Meier, with Daniel Barenboim on the podium. Would be nice if Teldec, or Unitel or Warners or whoever would put that out on DVD. Anyway that was in 1994. My first paid reviews were for Metrobeat in 1996. We've heard about your CD collection. What's the single biggest item in it? Something I just acquired: The Scarlatti sonatas for keyboard, with Scott Ross. Ross was an American harpsichordist who taught in Canada and made these recordings--all 555 sonatas--over a six-month period in France. He recorded two a day until he was done. Most of them are on harpsichord, but some are on the organ. They're really good. That's bigger than the Ring? Yeah. I own a number of recordings of the Ring Cycle but they all count up at fourteen or fifteen discs. The Scarlatti is thirty-four CDs. I also have a set of Haydn symphonies with Antal Dorati--that's a solid thirty discs. What's the best bargain CD you've ever bought? I'd say my copy of the Liszt Piano Transcriptions with Jean-Yves Thibaudet. He's an amazing musician--I interviewed him last year for the Herald Tribune. I paid $5 for that in a little store in Boston which I think is (unlike Tower Records and Sam Goody) still in business! What's the last really good night you had at the opera? Well, the recent Walküre was really good until I got sick. The Romeo et Juliette at the Met, with Matthew Polenzani and Anna Netrebko, which we saw on New Year's Eve, was pretty fabulous. Do you review everything you see? I try. There are some nights when I simply can't make it to a performance--something else gets in the way, or illness comes up, or a family crisis. Then I'll donate the tickets. But yeah I think I've missed maybe two or three concerts that I've seen and not written about. How come half your reviews are Wagner operas? I like Wagner. And it's my dime. Poul Elming and Waltraud Meier in Parsifal.© 1994 Unitel/Teldec/Warner Classics. 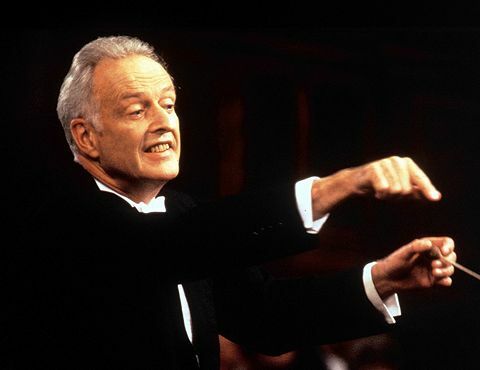 Carlos Kleiber, when he felt like conducting. This 1982 recording of Tristan und Isolde, made by the Dresden Staatskapelle under the direction of the late Carlos Kleiber, is one of the most unique readings of this Wagner opera available on disc. It has recently been reissued as a DG Original, at mid-price, with each act fitted onto a single CD. This Tristan is another brilliant, maverick take on a difficult opera, from a conductor who only made a few studio recordings. Under Kleiber's baton, the nuances and textures of Wagner's complex score unveil themselves to the listener in fresh, fascinating ways. The Staatskapelle is superbly managed and tautly controlled. There are outbursts of raw power--Isolde's entrance in Act III, the "Kornwall, heil!" chorus--but the whole is never lacking in lyrical flow. Kleiber makes this tricky score breathe--he allows the music to be as natural and romantic as Verdi while still having Wagnerian power and thrust. As fitting an opera about men versus women, we'll go through the singers by gender. Rene Kollo is Tristan here, on the downward slope of his long career. Kollo recorded every Wagner tenor role in the studio (except Siegmund and Siegfried) and the mileage shows on his voice. But this is a brilliant, carefully thought out performance, just on the edge of hysteria in the third act. Kurwenal is in the person of Dieter Fischer-Dieskau. One of the greatest lieder artists of the 20th century, Fischer-Dieskau always sounds a little bemused in Wagner, as if the proceedings swirling through the orchestra are a bit too vulgar and he'd rather get back to his nice Schubert. Kurt Moll sounds grand and grandfatherly as Marke, but misses the emotional heart of the character. The controversy of this set is the casting of Margaret Price--a soprano known mostly for her work in Mozart and Puccini--as Isolde. True, she is occasionally overpowered by the orchestra, most notably at the start of Act II and at one moment in the Liebestod. There are moments in this score where a laser-like voice is needed to slice through the Wagnerian texture. But that weakness makes her more vulnerable than some Isoldes. After all, Tristan is falling in love with a princess., not boarding a battleship. Brangaene is sung by Brigitte Fassbaender, an intelligent mezzo who, like Fischer-Dieskau, brings a lied sensibility to the role. In which illness defeats our intrepid correspondent. Act III of the Met's Die Walküre. 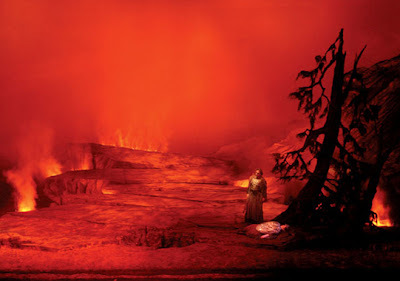 The much-ballyhooed experiment of having Lorin Maazel conduct Walküre at the Metropolitan Opera House proved most interesting at the January 28 performance. This run of the opera marks the conductor's return to the Met podium after a 45-year absence. Maazel seems to prefer lyrical flow and feel over big dramatic moments. His opening storm scene left something to be desired--there was no sense of angst or terror in the music. However, he found his groove with the introduction of the singers. Clifton Forbis sang a fine Siegmund, with thrilling tenor notes and a sweet, romantic tone for the love-music of the first act. Act II complmented the first, with some notable baritonal notes that most Siegmunds have a problem reaching down for. Deborah Voigt's Sieglinde is something of a Met institution and a signature role for this great soprano. She went from timid housewife to ardent lover to terrified fugitive, expertly acted and beautifully sung. Both twins had good chemistry together onstage. Mikhail Petrenko gave a new take on Hunding, resonant and intimidating with fine bass pitch. 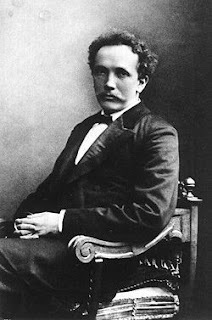 And now a word from Richard Strauss! Remember that you are making music not to amuse yourself, but to delight your audience. You should not perspire when conducting: only the audience should get warm. Conduct Salome and Elektra as if they were Mendelssohn: Fairy Music. Never look encouragingly at the brass, except with a brief glance to give an important cue. But never let the horns and woodwinds out of your sight. If you can hear them at all they are still too strong. If you think that the brass is now blowing hard enough, tone it down another shade or two. It is not enough that you yourself should hear every word the soloist sings. You should know it by heart anyway. The audience must be able to follow without effort. If they do not understand the words they will go to sleep. Always accompany the singer in such a way that he can sing without effort. When you think you have reached the limits of prestissimo, double the pace. If you follow these rules carefully you will, with your fine gifts and your great accomplishments, always be the darling of your listeners. Opera Review: Can it Core a Apple? Ooh! Cake! 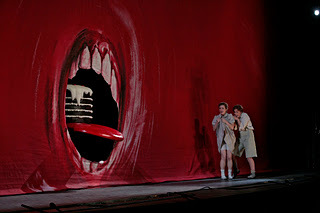 The hell-mouth from Hansel and Gretel. The Metropolitan Opera's new production of Hansel and Gretel (which is actually imported from the Welsh National Opera) tosses out the traditional gingerbread staging in favor of an edgy surreal fairy-tale world that owes debts to Salvador Dali and Saw. Visually, this ain't subtle. 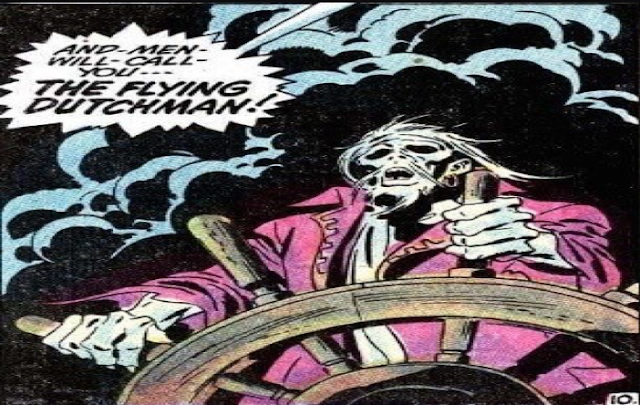 The Witch's Ride is represented as a huge, lipless, screaming mouth--a nightmare image that recalls Edvard Munch's paintings as well as the Rolling Stones' Andy Warhol logo. The forest is a giant, menacing dining room tricked out in green leafy wallpaper with an antler-chandelier straight out of Twin Peaks. And the dream ballet is led, inexplicably by a half-man-half-sardine wearing a very nice tuxedo. The conducting and vocal performances were anchored by Alan Titus' sturdy Father and Philip Langridge's bring-down-the-house turn as the Witch. This great British tenor looks and acts like he's stepped out of a John Waters film. However, one wonders why the Met decided to cast Christine Schäfer, a talented German singer for a production staged in English? She sings well opposite the boorish, rambunctious Hansel of Alice Coote, but sounds uncomfortable in another language. Vladimir Jurowski led a strong, Wagnerian performance from the Met pit. The enthusiasm of the brass section proved an even greater menace to the singers than the Witch. Recordings Review: Ah, For the Last Time! Plácido Domingo reaches for the Grail in Vienna. 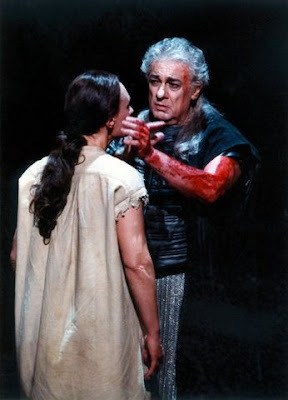 Placído Domingo and Waltraud Meier in Parsifal. Placido Domingo and Waltraud Meier are no strangers to the complexities of Wagner's Parsifal. The tenor has been singing this role for many years now, performing it all over the world and recording it with James Levine and the Metropolitan Opera. In this superb live recording, made in June 2005 at the Vienna State Opera, Domingo gives a definitive performance. And he sounds pretty good for a singer who was 65 when this set was made. From his entry in Act I this is a first-class reading, nuanced, textured, and filled with understanding of the holy fool's path toward wisdom. Even though he sounds like he's pushing it at the start of the Good Friday scene, the performance comes off as the character's exhaustion, not the singer's. Besides, he gets better, pulling out magnificent tonal resources and bringing the opera to its glorious climax through sheer vocal; ability. 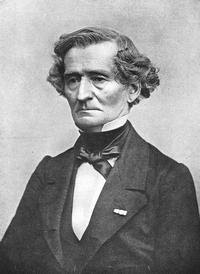 The great composer Hector Berlioz has made the leap from being dead in the 19th century to getting online in the 21st. Author of the Symphonie Fantastique, Le Damnation de Faust and his own rollicking Memoirs, Berlioz is now a dotcom entrepeneur. That's right. he's launched his very own MySpace page, complete with widgets! The composer could not be reached for comment. Hi folks, just a quick post: some wintry music to get you through the coldest months of the year. Promise, actual reviews to follow eventually! Berwald: Four Symphonies. cond. Neeme Jarvi. 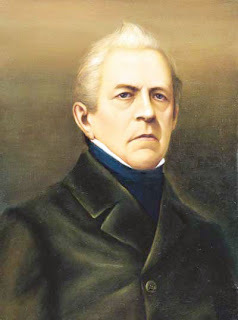 Although he composed quite a bit, the "unfashionable" music of Franz Berwald was ignored in his lifetime. However, the Swedish composer wrote four gorgeous symphonies along with some nice piano music. Along with fellow Swede Stenhammar, Berwald remains one of the most underrated Scandinavian composers. Melodic and moving, a bit like Brahms without the heavy blasts of post-classical thunder, Berwald deserves to be heard by more people. Schoenberg: Verklärte Nacht (Transfigured Night) cond. Giuseppe Sinopoli. This single disc features the late great Sinopoli conducting Schoenberg's ever-rising tone poem, a piece that details the tension between two lovers as they walk upon a winter road. Simply gorgeous, and accompanied by an equally profound reading of the same composer's Pelleas und Melisande. Tchaikovsky: Symphony No. 1 (Winter Daydreams), cond. Igor Markevitch, on Philips. This used to be available as part of a dirt cheap double box set containing all of Markevitch's magnificent Tchaikovsky recordings. It is a stellar performance of this evocative, light-hearted (for this composer, anyway) symphony. The "Tchaik First" was also featured in the surreal Christmas scene from the very strange Robin Williams movie, Toys. Sibelius: Night Ride and Sunrise, cond. Eugene Jochum. This piece brings out my inner Finn--you can feel the cold air whipping at your face and the sunrise (brought out in the brass) is blinding in its radiance. Check out this historic DGG recording with Eugene Jochum on the podium for a very different take on Sibelius. Yes. You read that right. The album's title is a pair of parentheses. Strange wordless music from Iceland, this modern "rock" group sings in a made-up language. Simultaneously soothing and haunting on a cold night. Above: An unheard musician: No wonder Berwald looks upset.